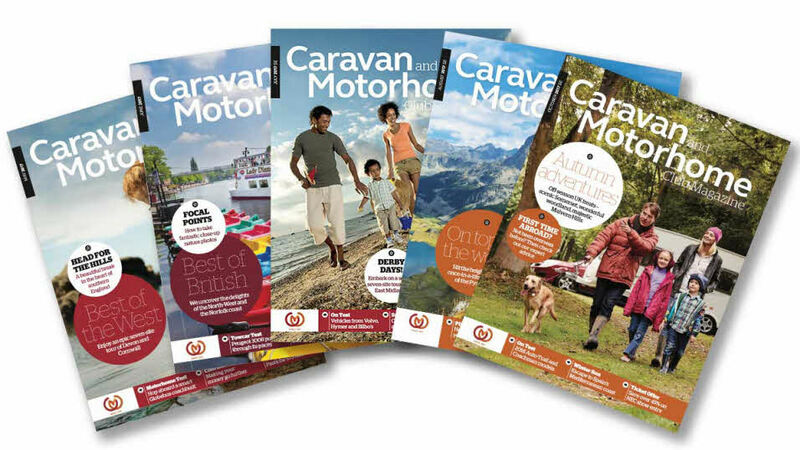 The Caravan and Motorhome Club Magazine is your bible for all things touring - each edition will leave you feeling inspired to get out and about exploring, whatever the weather. It’s available as a paper copy and via our app. The magazine is packed with great articles. It’s got UK and overseas holiday ideas, technical advice from our team of experts and test reports on all the latest vehicles and accessories. It also features industry news and tells you about events happening across the country. Don’t miss our special offers, competitions and games! We want to provide you with relevant, inspirational ideas and information to help you make the most of your outdoor adventures. With that in mind, we are now producing content and advertising within the Caravan and Motorhome Club Magazine that’s tailored to the region in which you live. If you are located in the South-East, for example, there may be differences between your copy and the issue received by readers in Scotland – although these will be fairly subtle at first. Print copies of magazines for other regions are available through the Club Shop. We are presently only able to provide one version of the magazine within the app – watch this space for updates. The magazine app can be downloaded by members and non-members so you can take your magazine with you wherever you go! It’s got everything you love from the paper version plus loads more interactive content. As well as being able to browse features from archived issues, you can also search for specific keywords to find articles on subjects of particular interest - you can even scroll through a live feed of latest news from The Club. The magazine app is available on iPhone and iPad as well as Android™ devices. Download it from Google Play or the App Store. Apple, the Apple logo, iPad and iPhone are trademarks of Apple Inc., registered in the U.S. and other countries. App Store is a service mark of Apple Inc. Google Play is a trademark of Google Inc. Android is a trademark of Google Inc.
Got feedback on the magazine? Want to advertise in the magazine? Send our advertising team an email at advertising@camc.com or give them a call on 01342 779 378. Which devices support The Caravan Club Magazine App? The app is currently available on iPhone and iPad, as well as Android tablets and phones. The app is free to download. Club members can access the current and archived issues free of charge. When opening an issue, members will be asked to log in with their Caravan Club website email address and password (please note: being registered to use the ‘Club Together’ forum alone will not grant you access). Non-members will be prompted to purchase individual issues at £2.29 each but will not have access to the archive. How do I search for previously published articles from The Club Magazine on the app? Open an edition. Touch the screen to reveal the 'flatplan' at the foot of the page and the 'Menu' icon in the top right-hand corner. Tap the 'Menu' icon to reveal the archive 'Search' facility. I’ve got a question about the app, who can I contact?